St. Nikolai Velimirovich: . . . Technology is deaf, mute, and unanswering. . . .
Technology is deaf, mute, and unanswering. It is completely dependent on ethics, as ethics on faith. This entry was posted in Sayings from Saints, Elders, and Fathers, St. Nikolai Velimirovich and tagged King Solomon, Modern Age, Morals, Old Testament Events, Old Testament People, Technology, Temple on November 25, 2014 by ocqadmin. 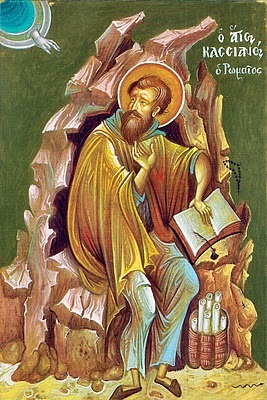 St. John Cassian: We must take care not to refer all the merits of the saints to the Lord in such a way as to . . . This entry was posted in Sayings from Saints, Elders, and Fathers, St. John Cassian and tagged Evil, Free Will, Good and Evil, King David, King Solomon, Old Testament Events, Old Testament People, Saints, Temple on August 1, 2014 by .